The great thing about the Yucatan Peninsula is that it isn’t just all about sand and sun, it also has some world-class cultural attractions as well. 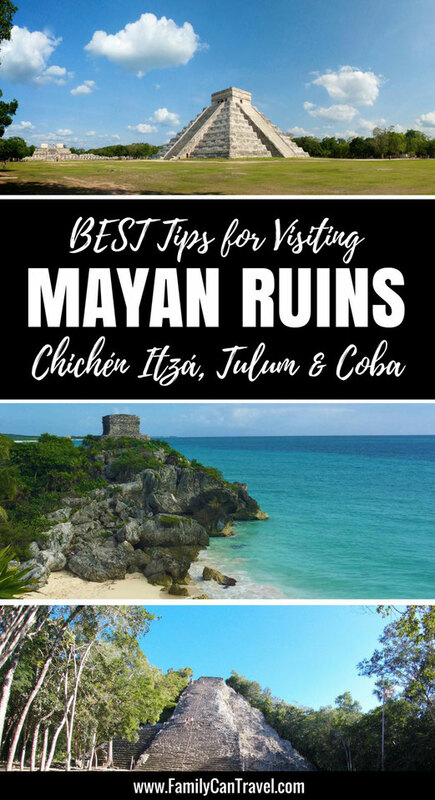 It is blessed with the ruins of three Mayan civilizations, including Tulum, Coba and Chichen Itza, which was named a “New Modern Wonder of the World” in 2007. 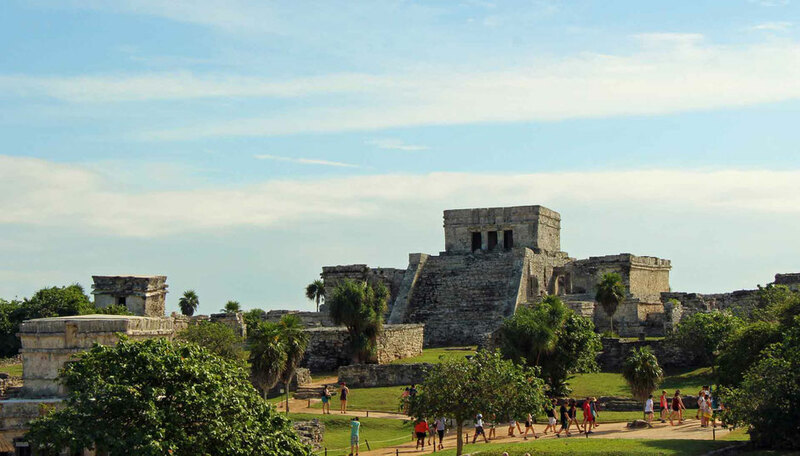 Each of the ruins is easily visited as a day trip from Cancun or Playa del Carmen. Most people go to Mexico for a week and don’t want to pull themselves from the beach for more than a day or two. Factor in a trip to Xcaret and you probably only have time to visit one set of ruins, but how do you decide? In each of the sections below, we’ll try to help you decide. 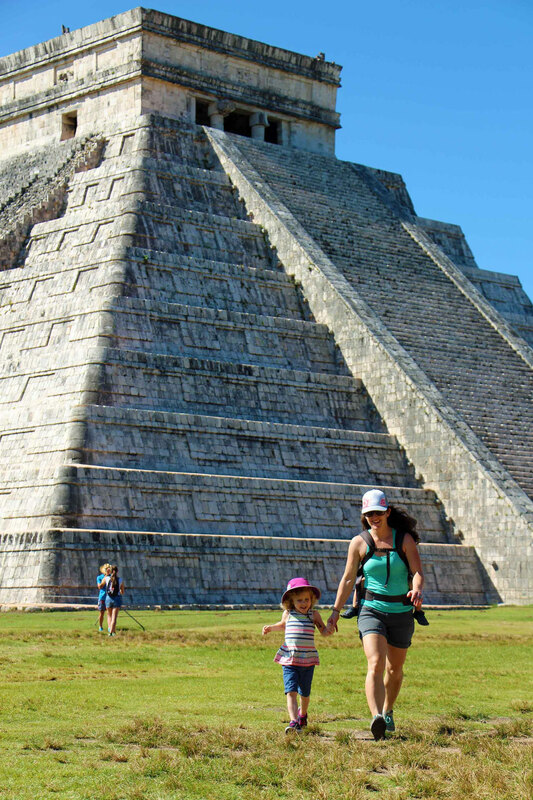 Chichen Itza was named a “New Modern Wonder of the World” for a reason – it’s truly spectacular. If you like to be wowed or simply can’t decide between the ruins, Chichen Itza is the one for you; it won’t disappoint. Get there as early as you can. With its rock star status as one of the “New 7 Wonders of the World”, Chichen Itza is one of the busiest ruins in Mexico, with nearly 3 million visitors a year (that’s over 8,000 people a day!). It’s not a very big complex, with not that many structures outside El Castillo (the famous pyramid you see in all the pictures). 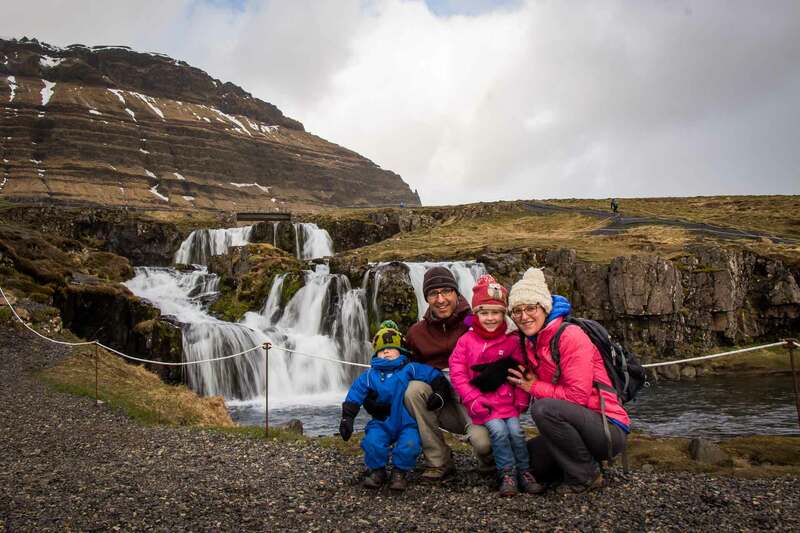 We had our kids (aged 2 & 4) with us, so we didn’t stop and dwell at any one location, so we were done our visit in under 2 hours. The complex is mostly flat and our kids were able to walk most of the way. 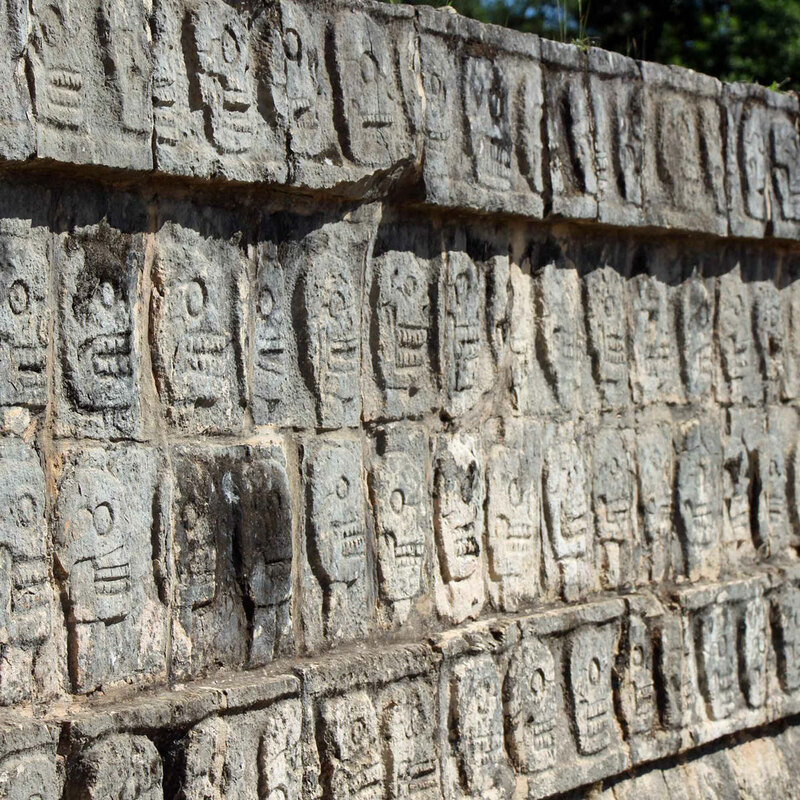 Chichen Itza is in a different time zone than Cancun and Playa del Carmen. 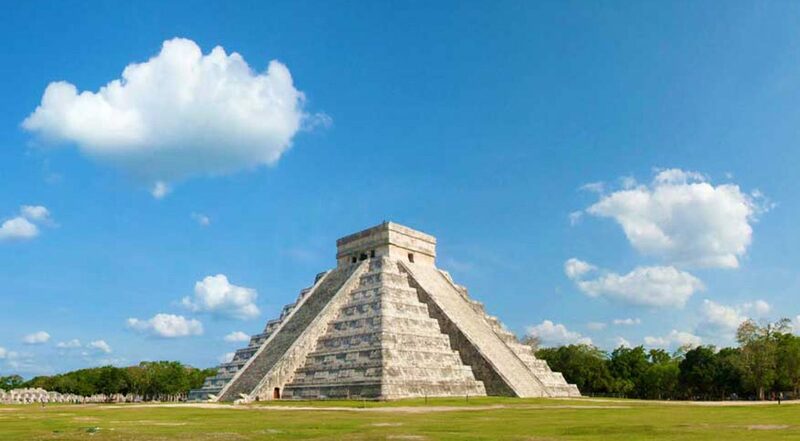 If you visit the region between the last Sunday in October and the first Sunday in April, Chichen Itza will be one hour behind Cancun. This is important to know if you are planning on getting there right when it opens – you may need to leave one hour earlier than you thought! The town of Pisté is a few minutes outside the ruins and is a great place to buy water, sunscreen, grab a bite to eat, etc. If you are driving yourself, be aware there are hordes of touts lining the road on the way to the ruins. They will try to convince you that you need to buy your tickets from them – some are very convincing. Just ignore them and keep driving until you reach the parking lot. If you need to buy souvenirs, you will be amazed at the sheer number of stalls selling Mexican trinkets inside the ruins. There should be a lot of room to negotiate with that many vendors around. There is a lot of wide, open lawn space surrounding El Castillo, which is nice as it helps make it feel less crowded than it really is. It may also help you get a picture of the main pyramid without too many people in it. If you don’t like crowds, perhaps avoid Sunday’s, when locals get in for free. This coloring booklet on Mexico is the perfect way to teach young kids about ancient Mexico! 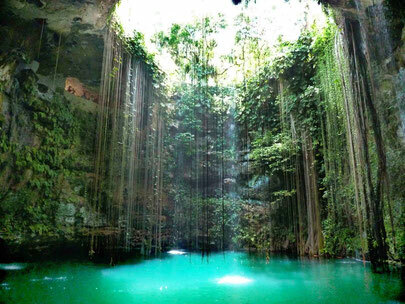 Ik-Kil cenote: this cenote is a popular stop for tours to Chichen Itza and when you see it, you will know why – it’s open to the sky, but the water is 85 feet below the surface. X-keken eco-park: If you want to enjoy a swim in a cenote, but wish to avoid this crowds, this eco-park is a good alternative. We visited here after Chichen Itza and swam in Dzitnup, a cavern cenote which is one of two cenotes in the park. A fun benefit of this cenote is the toe cleaning fish – they hang out by the stairs and will give you a very ticklish foot cleaning! If you have the chance, a stop in Valladolid is worth it. The main street is quite striking with lines of pastel colored buildings filled with interesting shops and restaurants. We had a few light snacks in a garden atrium inside Restaurante El Atrio del Mayab. A very popular combo tour of the region includes a swim in Il-Kik, a stunning, deep open air cenote, and a visit to the charming & colorful town of Valladolid. If you don’t like tours, hire a private driver for the day. Once there, you can hire your own tour guide at the gate if you’d like or explore the grounds on your own. Looking for something different? Viator has tons of different options to choose from. To drive there, it’s approximately 2 hours from Playa del Carmen and 2.5 hours from Cancun. The highways are in good condition and were not too crowded when we drove. We encountered two toll booths each way, paying a total of 616 pesos (~$33USD) for the round trip. If you are driving, do yourself a big favor and buy your ticket ahead of time and avoid the huge lineups at the ticket counter. 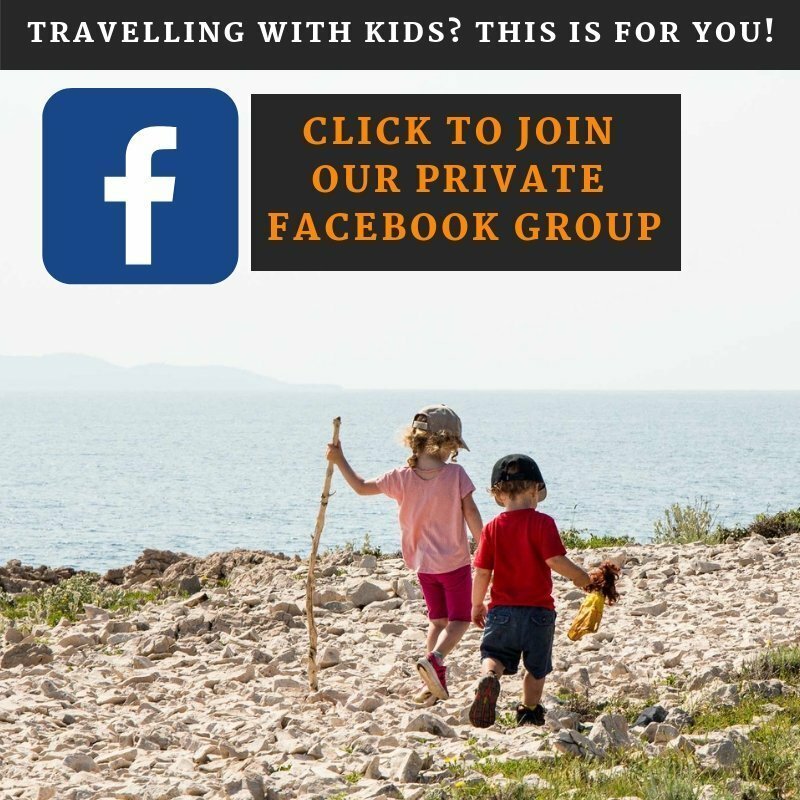 This post also has some great info on purchasing a private tour of Chichen Itza with kids. It’s hard to imagine a more beautiful setting for a set of ruins. 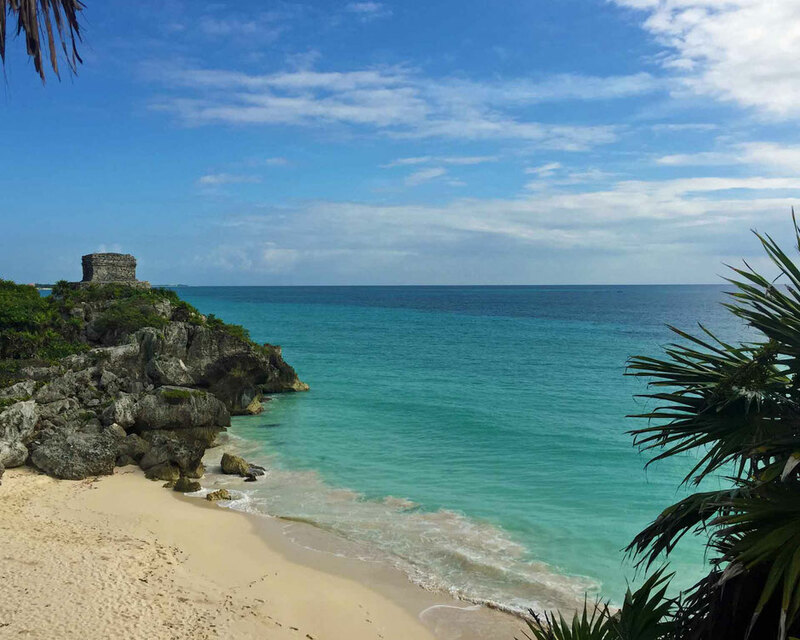 Tulum is perched up high on a cliff, overlooking the world-famous turquoise waters of the Caribbean Sea. If you like beautiful scenery, Tulum is a good choice for you. Parking for the ruins is within the parking lot of a large commercial complex. Parking costs 160 pesos (~$9USD). No one should be surprised to find out the ruins are a 10 minute walk through all the stores. I grumbled about being forced to walk through the stores, but to be fair I was glad to buy some ice cream from them after our visit! A tractor pulled wagon is available, for those who don’t wish to walk, for only 20 pesos. The ruins are mostly in the open, with little vegetation to give you shade. Bring lots of water, hats and sunscreen. Once you enter the complex, you walk to the ruins through a nice, short walk through the jungle. We saw some wildlife on this walk, including a coati, iguanas and an ant highway crossing the path. The kids really enjoyed the wildlife encounters. Like Chichen Itza, Tulum is a reasonably compact site. If you don’t linger for too long at each building, you can walk the circuit in about an hour. Get there early! Tulum is the third most visited site in Mexico, but unlike Chichen Itza, the site is quite compact and you feel the crowds a lot more. 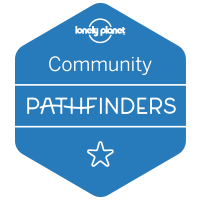 This is likely because you must stay on designated paths during most of your visit and don’t have the freedom to roam. Tour buses start showing up at opening and just keep on coming. It’s hard to get a good picture with all these people around. There are free bathrooms in the shopping complex, but they are hard to find. They are in the building with the Subway. You can access a beach from within the ruins, so bring your swim gear if you want a chance to swim in this beautiful setting. Tulum is located very near the tourist town of the same name, where you will find lots of good shopping and restaurants. Coba is the furthest afield of all the ruins, but if you’ve made it all the way to Tulum, Coba is only 45 minutes further. The Xel-ha eco-park is on the way to Tulum and makes for a good side trip. Xel-ha is one of the feature eco-parks in the area and is mostly dedicated to water-based activities. We recommend visiting Tulum as early as you can to avoid the crowds, then stop at Xel-ha on the way home to enjoy a fun afternoon splashing in the water. A bonus is the all you can eat food and drinks! There are many different combinations available for Tulum tours. 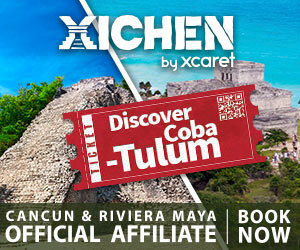 You can do Tulum only, or book a combo tour with Coba or Xel-ha. If you had a different combination in mind, chances are very good you’ll find it on Viator. Tulum is approximately a 2 hour drive from Cancun and 1 hour from Playa del Carmen along the main, divided 307 highway. Traffic is quite heavy between Cancun and Playa del Carmen, but thins out as you go further south. There are no toll booths on this route. Like Chichen Itza, if you are driving, do yourself a favor and buy your ticket ahead of time and avoid the huge lineups at the ticket counter. Coba is for the wild, adventurous type. Set deep in the Mayan jungle, the Coba complex has an aura of mystery about it. 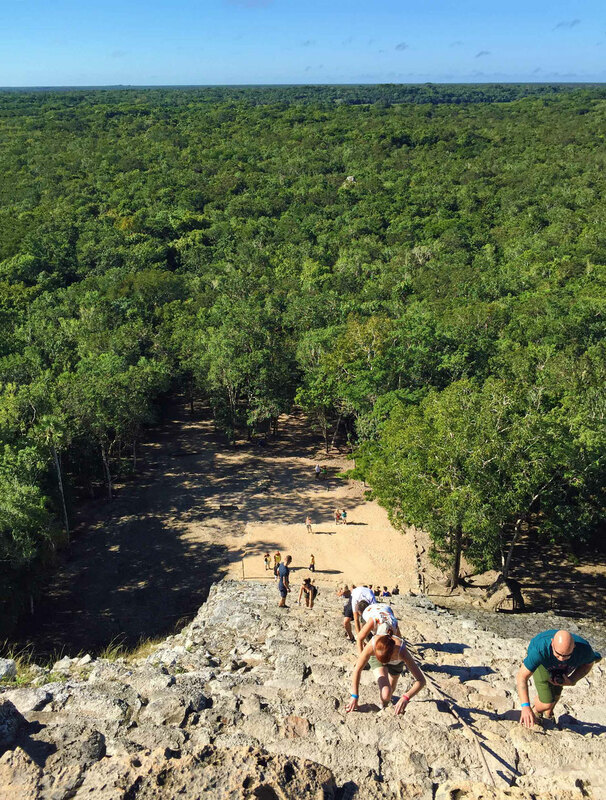 Unlike Chichen Itza and Tulum, you can actually climb the main pyramid here, so if you like adventure then Coba is for you. If you get here early, you will be rewarded with few crowds. We arrived by car at 9am and when we got to Nohoch Mul Pyramid (the main pyramid on site) we had it all to ourselves. The Nohoch Mul Pyramid is a 1 mile walk from the entrance. It’s an enjoyable walk through the jungle with 3-4 buildings along the way. For those who don’t want to walk, you can rent a bike. They didn’t have any small enough for our little kids (aged 2 & 4), nor did they have any with baby seats. If you feel like letting someone else do the work, they also have cycle rickshaws. We took a rickshaw to the pyramid to get there as fast as possible to beat the crowds, then we enjoyed a fun walk through the jungle on the way back. 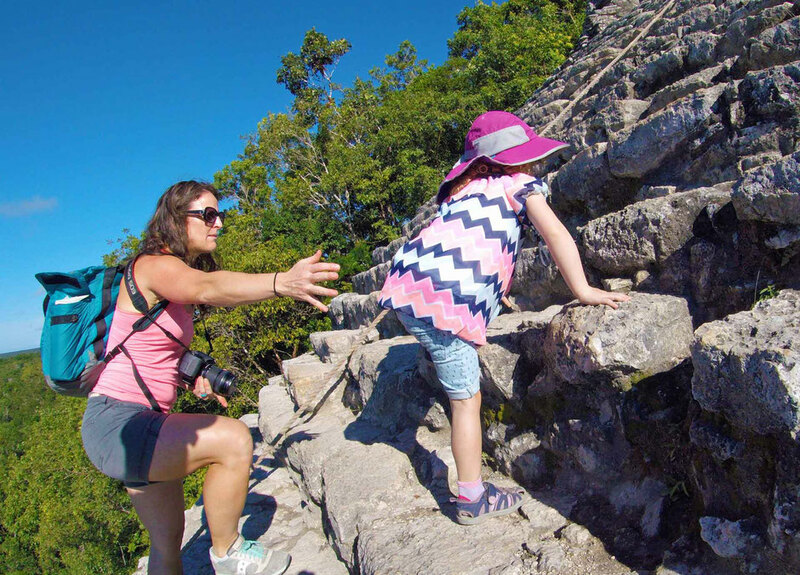 Unlike Chichen Itza and Tulum, you can actually climb the Nohoch Mul Pyramid. The 130 steps to the top vary in height, but each are approximately 1 foot tall. There is a rope running up the middle of the stairs for those who need a little extra security. The view from the top is amazing and is worth the effort. The platform at the top is not very big and can get crowded quickly, so that’s another reason to get there early. Near the main entrance, there is another path you can follow to some distant buildings. One is pretty close at 0.1 miles, but the second is 0.6 miles away. After walking all the way back from Nohoch Mul, our kids were beat (and we didn’t feel like carrying them), so we only visited the closer one. It turned out to be another very tall pyramid, but it wasn’t in as good of condition, so climbing wasn’t allowed. It made it feel more ancient though, which is kinda cool. You drive through a small town on the way to the ruins. There are small shops with supplies you may need and several restaurants. We enjoyed an excellent meal at El Cocodrilo, which had outdoor seats in the shade of a large tree with a view of a nearby laguna. Free bathrooms are located outside the ruins complex, just outside the main ticket office. As discussed earlier, Tulum is nice and close and makes for a fun side trip. We stopped at a fun family-friendly cenote nearby called Choo-ha. They have good facilities, with a row of change rooms, showers and baños. This cenote is a cavern style one, with a long, steep set of stairs to get down. Along the way you can see the impressive limestone formations within the cavern. At the bottom there are several staircases leading into the amazingly clear water. There are many different combinations available for Coba tours. 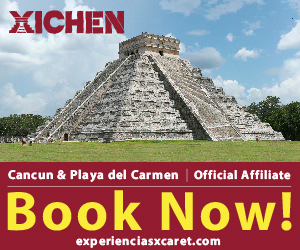 You can do Coba only, or book a combo tour with Tulum or Xel-ha. If you had a different combination in mind, chances are very good you’ll find it on Viator. 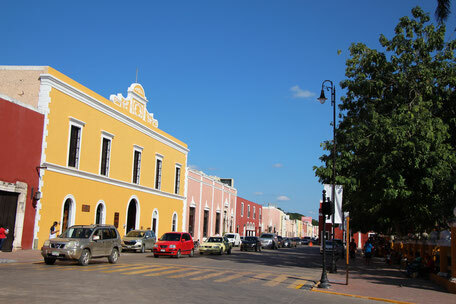 Coba is approximately a 2.5 hour drive from Cancun and 1 hour from Playa del Carmen along the main, divided 307 highway. From Cancun you have the choice of taking highway 180 through Valladolid or highway 307 through Playa del Carmen and Tulum. If you are driving, consider buying your tickets ahead of time to avoid the lines at the ticket counter. If you get there early enough (as we did), the lines won’t be too bad.